Walt Disney World celebrates 20 years. 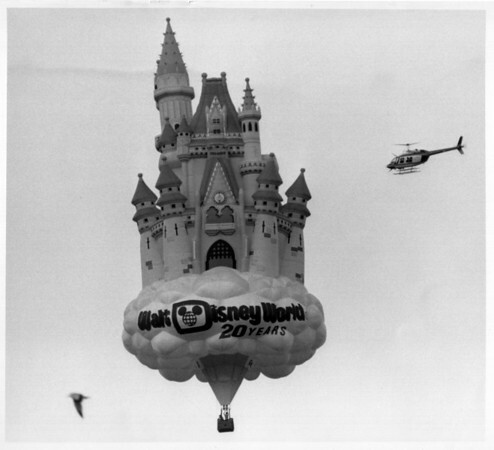 Flying a hot Air Balloon of the Disney Castle over 13 cities Niagara Falls was one of them. The Balloon landed on the Hyde Park Golf Course. Photo - By Niagara Gazette - 10/27/1991.